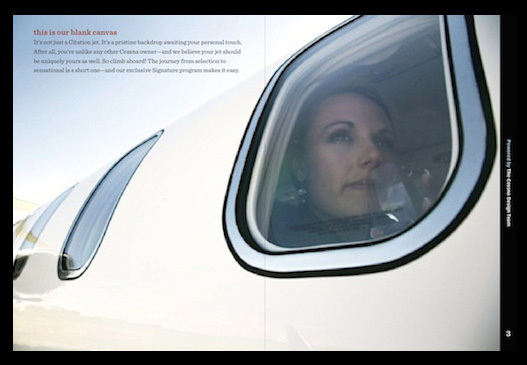 Cessna’s 6,500 Citations are the largest fleet of business jet aircraft in the world, and more than half of all the aircraft flying today are Cessnas. 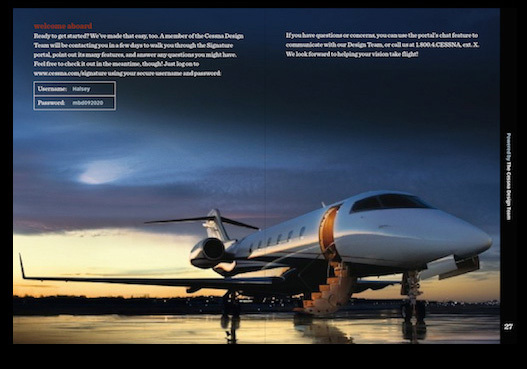 At a cruise speed of up to Mach 0.935, the Citation X is the fastest civil (not built with tax dollars) airplane in the world. 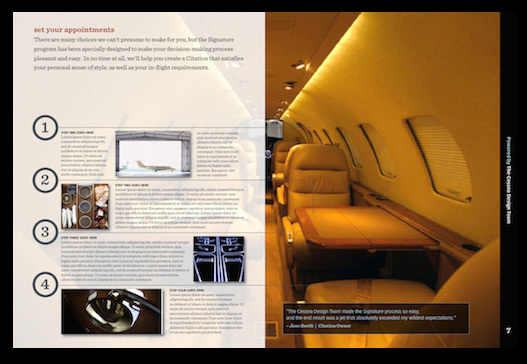 Cessna caters to a very discerning customer who can often face a number of complex specification decisions before taking delivery of the aircraft. 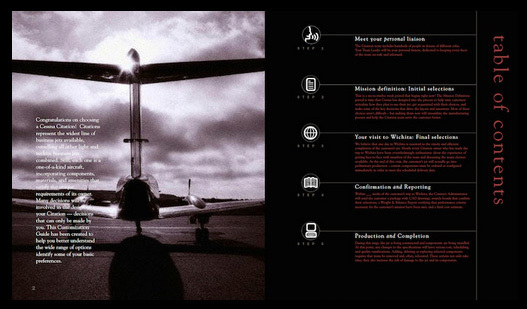 We developed a customer-oriented communication program that outlined milestones, clarified the specification process and improved overall satisfaction among new Cessna owners — fostering a more direct connection and personal relationship with the brand.